Great quality clothing in modern fits and colors...priced too high for men on a budget. 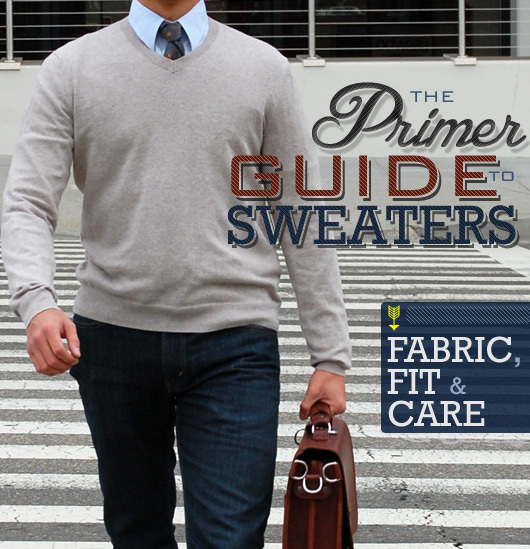 One Primer reader shares his techniques for shopping smart. Why Pay $250.00 for a sports coat when you can pay $85.00 for the same item? The trick is having a strategy, a little patience, and a touch of junk e-mail. 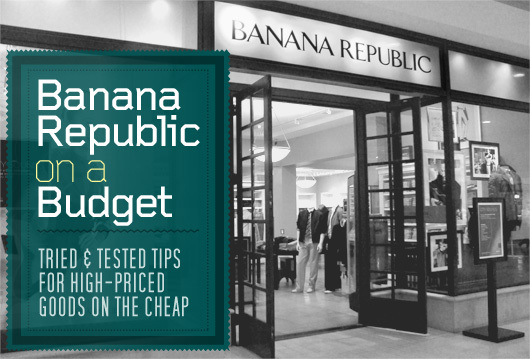 Retail stores like Banana Republic have premium clothes at premium prices but the watchful consumer can get a great deal. Last fall I was reading Primer and taking notes on the Getups so I could refine a style for my new job at a classical elementary school. I also seemed to have aged out of my previous wardrobe and wanted to communicate “I am a 31 year old professional that is a happily married father of 3. I found a bunch of great pieces but working in education doesn’t usually afford such luxuries while also supporting a family. The budget was set for what I could spend and I just so happened to get lucky on my first visit. It gets better! Because I spent at least $800 in a year (on my first visit), my card was automatically upgraded to the Luxe status, which has a few additional benefits. January and February had 3x points on outside purchases, but they also have a few special days where you can get triple points in store. On one of those days, I spent about $800. It was another 40% off day, which took me to $480, plus Luxe cardholders get a special 15% off shopping pass, so that took me to $408, but it was also triple points so I got 6,120 giving me another $60.00 on a future purchase. I thought I hit a once in a lifetime sale at 40% off, but then I signed up to get e-mails about specials and realized that 40% off something happens almost every week. When you see something at 25-30% off, just wait a few days for an e-mail (it is usually Wednesday) and get your 40% off two items. It makes Black Friday a little less frantic knowing you can score deals almost every week of the year. Although Black Friday through Christmas has several triple point days not to mention bonuses for buying gift cards. This past Christmas you could earn $30 certificates if you purchased $100 gift card (with some exclusions). Banana Republic sends e-mails about new products and sales, usually before they happen, so you can plan accordingly. The fine print on these great deals is that it usually does not include special lines like their Performance line or their suits. If you’re in the market for those items, keep reading the fine print and ask an associate when the next sale is that will include suits (this might take a little sweet talking but the store local to me looked at a chart outlining the promotions for the next several months). I learned the hard way that sometimes not everything in the store is included, like my $250.00 jacket. I was bummed but the associate told me to wait until next week because that sale would include jackets. So my jacket went from $250.00 to $150 then I had $65 in certificates so it landed at $85.00 plus tax. You’ll also receive mail the old fashion way with coupons or promotional events. This week I received 30% off the new Mad Men line that came out at the end of February (cardholders only). I wish I could afford to go spend a few hundred dollars every month but I can’t. The great thing about a store like this is that many of the pieces are classic so I don’t have to spend a ton of money to update a look. If I could quit getting stains on my ties, I’d be set! In fact, a few times I haven’t spent any money because I’ve had my reward certificates paired with one of their weekly promotions. To the family man: My wife now loves shopping at Banana Republic and The Gap and we are able to get some great clothes for our kids at The Gap Kids and Old Navy. Watch the points add up at all these stores! So the next time you’re at the mall or you see a great piece on a Getup and it isn’t at least 40% off, wait until the following Wednesday and save. You can also anticipate their clearance cycles to save money. It seems that they have 3-4 new waves of clothing for each season. By the time the third wave is on the floor, the first wave is on clearance (although usually not more than 30% off or less to start with). You can wait until the last minute when the sales go up to 40% off plus an additional 25% off that, but you also risk not getting what you want. The only other way to save money is to get a job there and you’ll get a discount of 50%… I’ve been offered jobs twice now. Dennis and his wife, Heidi, live on the Near East Side of Indianapolis in a beautiful neighborhood called St. Clair Place with their three children, Edmund, Mildred, and Frederick. His spare time is spent playing with and reading to kids, taking family walks, and having a lot of coffee with his friends. He is a Family and Consumer Sciences Teacher by degree but now is the Director of Operations at a classical elementary school called The Oaks Academy. Follow him on Twitter @dennisswender. Last year I was shopping for teaching clothes. I’m not exactly sure how this happened, but somehow I was able to apply a 40% off code plus another 20% or 30% off code (I can’t exactly remember). I just remember getting 80 dollar pants for 30 dollars.. I must have bough so much stuff that day. Teaching is coming soon again, and this time around I’m pretty much set for teaching. I just need to have some stuff tailored since I’ve been losing weight. I do need some casual everyday clothes, but I don’t wan to tuck in every shirt I wear (which you sort of have to do with most BR shirts). I don’t mind looking spiffy, but I’m sure I can look like an adult without tucking in my shirt. If you know and BR line of shirts (I guess they’re called sports shirts) I’d love to hear about them. Ordering on-line is great. If it doesn’t fit, you can go exchange it and still keep the same great deal on the item. It is a great place to shop if you’re a teacher and don’t want to look like a student! BR is currently my goto store for clothing. Easy to rack up rewards and combine that with the 40% off days, makes me happy. Even took a 3 month position at a local store to build up my wardrobe. FYI, it’s the F&F discount starting tomorrow, March 14-17. 50% off 5 items in-store. Find someone that works at Banana or one of the other ones to score a coupon! Here’s a helpful tip from a former Banana employee. Generally, you can’t combine percents and percents, unless you open a card for the additional 15% off. But you can combine percents and dollars. For example, if I had a 20% off coupon and a 40% off coupon, I couldn’t combine them for 60% percent off my purchase. If I had a 40% off coupon and a $20 reward from using my brand credit card, I would be able to use them together. Also, with a Banana Republic Luxe card or a Gap Silver card you should be able to get some simple tailoring done at some Banana Republics. By simple I mean, taking up a hem or a cuff. They usually send out the tailoring, but it’s a perk that many people don’t take advantage of. The J.Crew card has a similar benefit. Oh, and usually Banana Republic and Gap roll out their lines in two waves. You’ll have spring 1/spring 2, for example, for a total of six-ish lines a year with a bonus for holiday. If you’re shopping the sales or buying a Banana Republic or Gap item second hand you can tell when the item was originally sold by checking the cloth tag on the inside. It should read something like, HOL 12, so that would be from the holiday collection 2012. Great comment! So BR will do simple alterations, like hemming, for free? Or is there an extra charge? That’s good to know, either way. 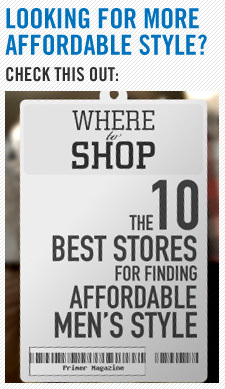 I had no idea and I shop there a lot! Their stuff can be a bit more trendy than BR, but they have huge sales pretty frequently so I’ve picked up some classic pieces that way. Tommy in Indianapolis looks like retired golf clothes. if you’re not already on the website, check out dappered.com. They have articles 5 days a week and a lot of them are about upcoming or current sales. They then list 5+ items that you can get with the original price and the sale price. The forum there is also a great resource. The community is great and they are very willing to help you and answer any questions you may have. Half the reason for the website is to get you great deals on clothing. NEVER buy anything full price at Banana Republic. They always run sales and specials and email events on all the same goods that you would get for full price. Luxe includes free shipping so order away on the online sale page, try it on, and return what doesn’t fit or what you don’t like. You can also normally find a good valid coupon code online because they are always having some sort of sale or promotion. A word of caution on Banana Republic – their quality is VERY hit and miss. Ask any dry cleaner. My dry cleaner has warned me not to spend too much on their items because of this. I got the oldnavy credit card. does it do the same points thing? A lot of people talk about BR’s lacking quality, but I have never really seen anyone recommend a suitable replacement that has the same style for a similar price point. Anyone got ideas? Gap, Inc. stores also offer a 10% discount to AAA (the automobile club) members. Not sure how it stacks, but for those of us without a card, it’s nice to know.